the revenue of bloggers will come down. The major revenue source of 90% of bloggers is advertising and even it is the major revenue way of some corporate companies like Google. The main reason why many of websites and online services are free of cost is, they earns revenue from advertising. But now a days, many of internet surfers are using programs like ad-block to block displaying advertisements. Because advertisements, especially popup ads will harass them. What you can do to over come this? I have some solutions to over come the usage ad-blockers by your visitors. These solutions are very simple. Don't use pop up advertisements.You can tell your visitors to disable when visiting your blog if they like your blog and it's rich contents by inserting an alert of request in your blog itself. But this method may not working well. and not easy to get all visitors. This method is more effective and simple. You only need to place some codes in your blog. This codes will works for you. 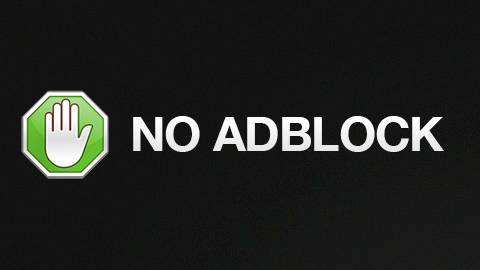 Whenever your blog is visited by a visitor who uses adblock, your blog will start requesting him to disable adblock. Search for the code ]]></b:skin> by selecting HTML editor and press Ctrl + F. And copy and paste the below code just above it. Now search for the code </head> and paste the below code. Now search for <body> and paste the following code below it. So, Bloggers, Am expecting your awesome comments :) If this post helps you, please simply say 'Thank You' as comment.